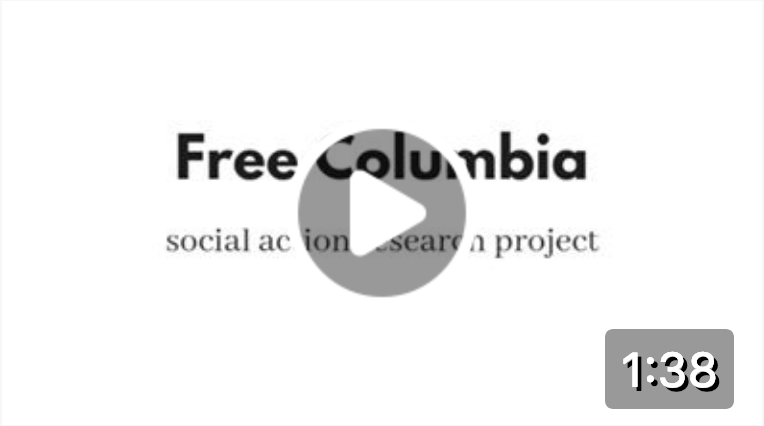 In 2018, for the first time, Free Columbia offered paid internships in our Social Theory and Action Program from September through November, culminating in a final presentation to the community on November 17. Free Columbia’s Social Theory and Action Program was designed to offer practical education in social theory through engaging with issues in a concrete place. It is theory related to local action. The fall 2018 program focused on monetary theory and design—specifically, the creation of a currency for local economic cooperation and democratic giving. The program cost $30,000 to run. Most of the funds were raised from over 300 supporters in a crowdfunding campaign in July of 2018. Seven interns were accepted to participate in the program. It began on September 18 and ended on November 17. Most mornings we sang and studied together (primarily texts concerning social theory and monetary design), and most afternoons we went out into the community. The program began with some local community service, as well as a number of field trips to related initiatives. We visited the Schumacher Center for New Economics in Great Barrington, MA (home of the BerkShare currency); the headquarters of the Hudson Valley Current in Kingston, NY; and two organizations in NYC—a large financial investment office and the ArchCare TimeBank. We invited scholars, innovators, and experts to visit us in our working space in Philmont, hosting Jean Giblette, who helped start a currency in Philmont in the 90’s, and Eric Harris-Braun, one of the founders of Holochain. We also engaged professionals in the field of software engineering, development, and security in order to better understand the possibilities open for developing a digital currency. We developed surveys for local businesses and social/cultural initiatives and conducted 30 interviews in the field. The program culminated with a presentation of our findings on November 17 at the Philmont public library and with the writing of a report that will be made available in spring 2019. What is the Social Theory and Action Program? Contact us if you’re interested in learning more about the social theory and action program.